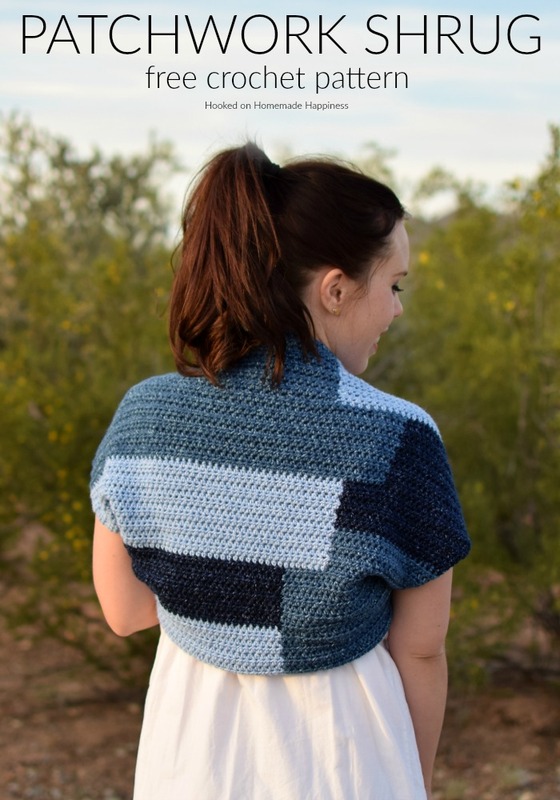 The fun design in this Patchwork Shrug Crochet Pattern is made as one piece! It’s onePI rectangle with a little bit of sewing to make the shrug shape. 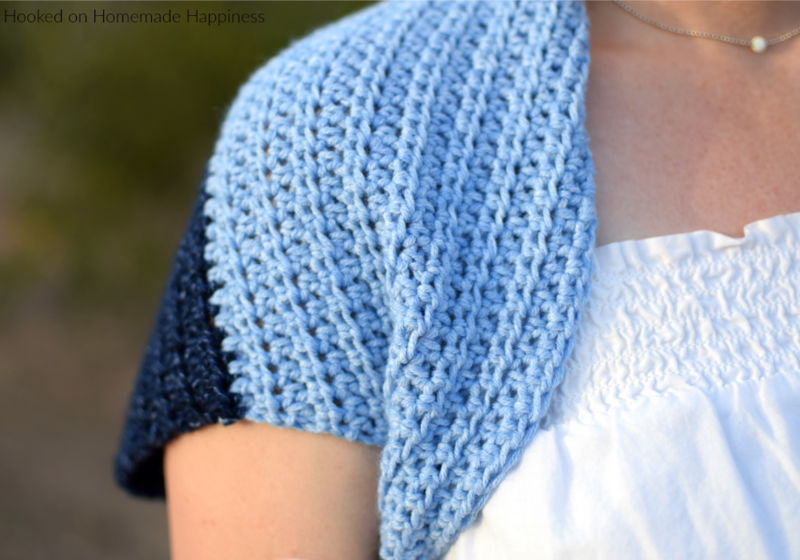 This little shrug adds a touch of warmth during these months before summer. 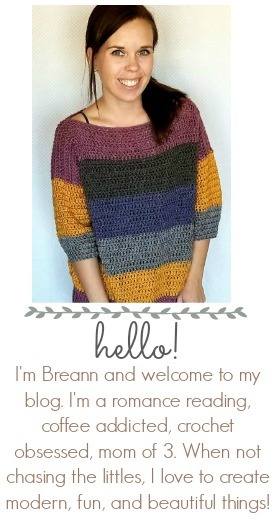 It’s a cropped sweater that looks so cute over a dress or with and tank top and jeans. 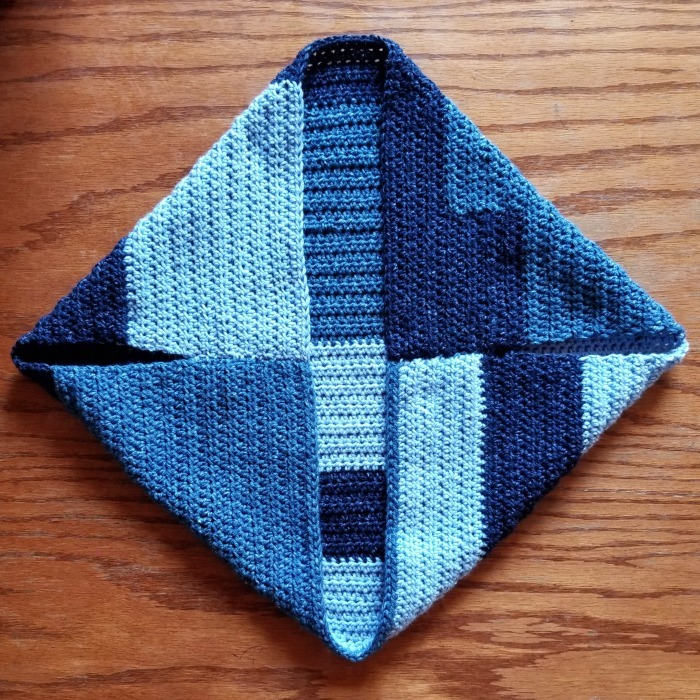 I used Lion Brand Jeans Yarn for my Patchwork Shrug. It’s such a soft acrylic and the colors are great! 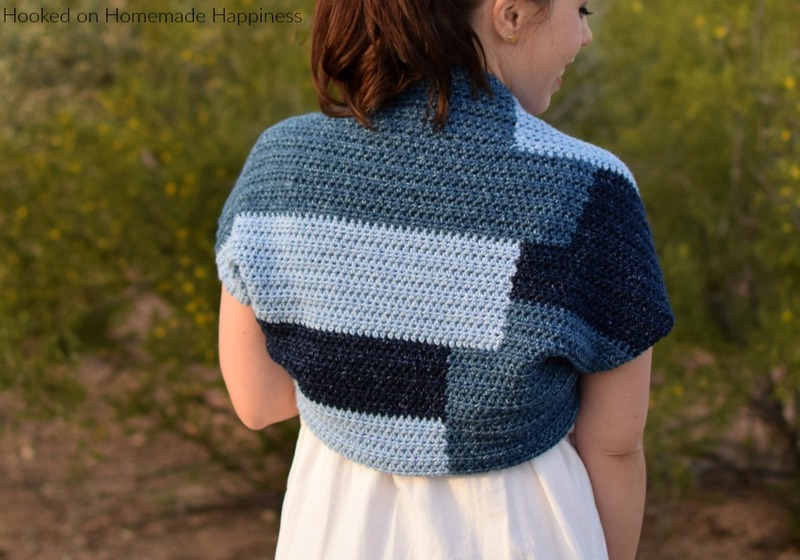 I think this shrug would be really cute with bright colors, too. Weave in all the other ends besides the 2 long ends. Lay the rectangle with the rows running horizontally. 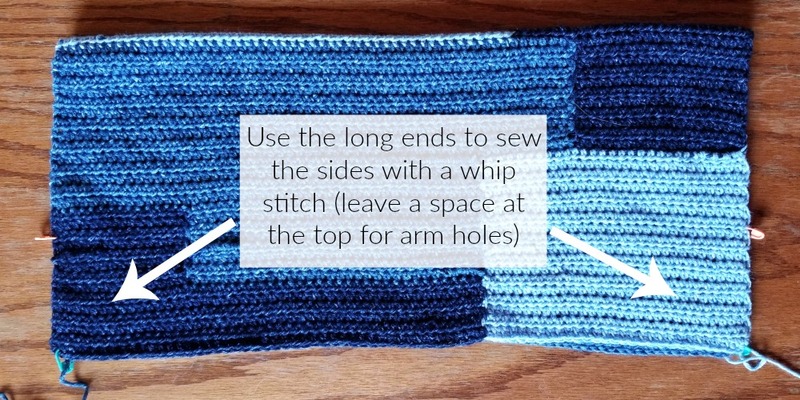 Fold in half by bringing to top down. Sew the sides closed with the long end using a whip stitch. Leave a space at the top for arm holes. Fasten off, weave in the ends. After it’s sewn, pull the top and bottom so the arm seams are running horizontal through the middle. 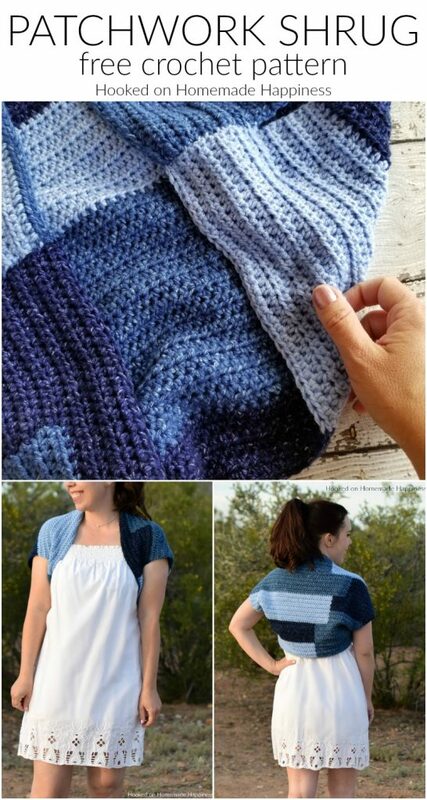 This is how you wear the piece, you can see that it’s looking more sweater-like! 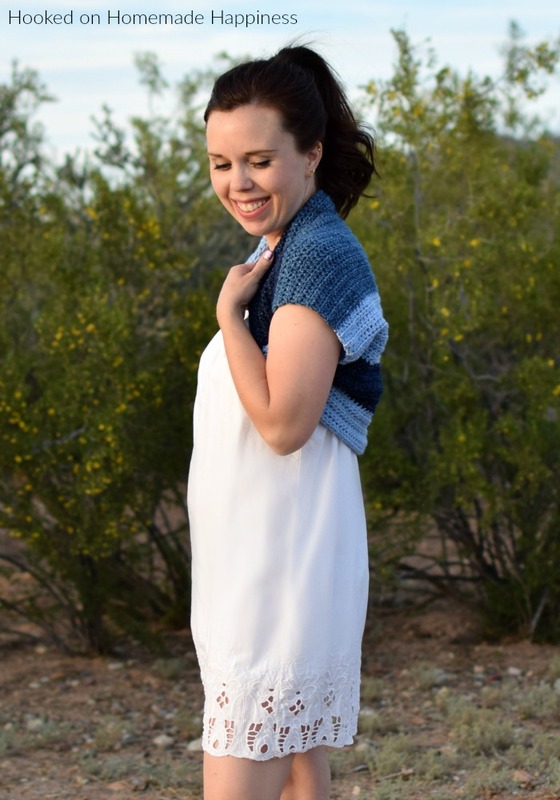 And you’re done with this cute shrug!